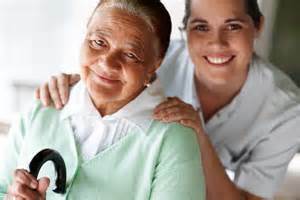 Home Health Care News - A recent study by UC San Francisco researchers has purported to show that as many as 2.5 million additional home health employees will be required to provide service to American seniors. This comes as no surprise, given the enormous increase of the senior population that is expected over the next several decades. The authors note that 20 percent of Americans will be 65 or older by the year 2030 and that an additional 19 million people will require long-term care services by the year 2050, almost twice the amount in 2000. The study was sponsored by the Health Resources and Services Administration of the U.S. Department of Human Services. The researchers urge policy makers and educators to increase efforts to educate, train, and maintain a knowledgeable workforce of long-term health providers including home health and personal care aids. “In terms of sheer numbers, the greatest need is going to be for home health and personal care aides, with well over one million additional jobs by 2030,” said the study’s lead author Joanne Spetz, PhD, professor at the UCSF Phillip R. Lee Institute for Health Policy Studies and associate director for research at the UCSF Center for the Health Professions. The researchers also remarked on the fact that these positions are typically lower paying with high turnover rates. “A lot of people in these jobs are living in poverty while working full time,” Spetz said in a written statement. “We have to figure out how to make them sustainable.” With high turnover rates and increasingly higher demand, we may see more proposed legislation from the Capitol to address wages, training, and additional ways for the home care industry to retain quality employees.